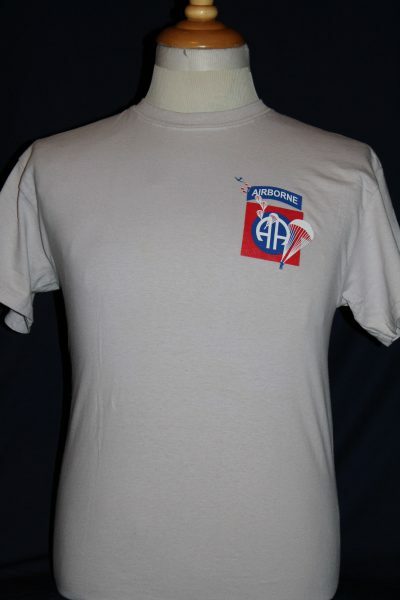 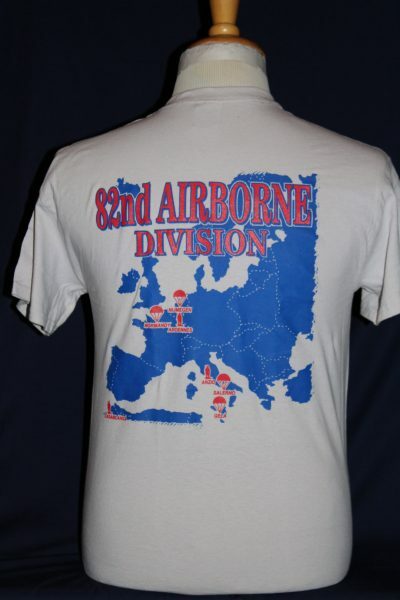 The 82nd Airborne T-shirt is a two sided print in light grey. 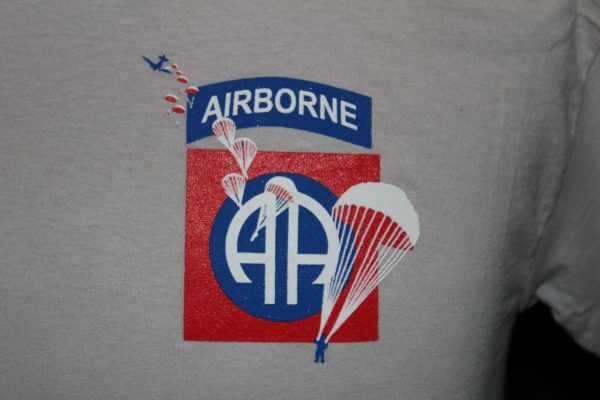 Front Design: Left chest 82nd Air Borne insignia with paratroopers descending. 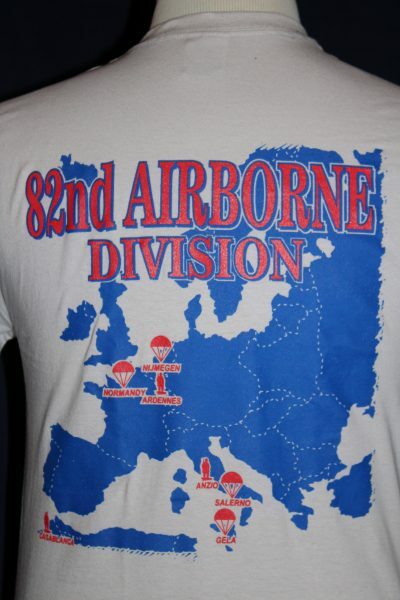 Back Design: Colorful European map with images of chutes descending for drops and infantry for ground actions. Names of major WWII Great Paratrooper operations.